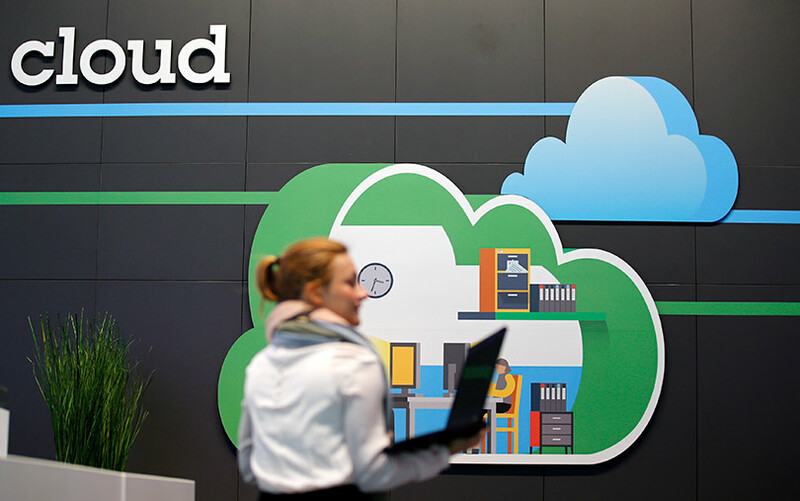 Will the $34-bn Red Hat buyout boost IBM’s cloud business? Armonk-headquartered IT services company IBM on Sunday said that it was in the process of acquiring open-source enterprise software provider Red Hat for $34 billion, in what is deemed as this year’s largest tech acquisition. But the big question is what happens to the existing clients of both firms in India and how does IBM gain from the transaction? For one, Neil Shah, research director at Counterpoint Research, told TechCircle that the deal may reduce costs for existing and future Indian customers of the merged entity. “Combining RedHat’s products and services, IBM will not only be able to reduce the price of its services but it can also sell end-to-end solutions to its customers. This means that the proposition will be to use one cloud client or vendor instead of multiple ones, which is usually the case. Using multiple vendors significantly increases costs,” Shah explained. Cheaper rates will serve as a hook to draw in more customers, he added. He also said that the merger provides a huge opportunity for IBM to expand its clientele as the country is undergoing digital transformation and enterprises of all sizes are adopting the hybrid cloud model. Many government and private agencies in India run on Red Hat, such as the Bombay Stock Exchange, the National Stock Exchange, the Goods and Services Tax, Aadhaar, Employees’ Provident Fund Organisation, Central Board of Direct Taxation and Indian Railways among others. Red Hat has a revenue run rate of approximately $3 billion and IBM will take at least eight to ten years to scale its revenues to match the deal price. So, why did IBM pay a premium of 63% on $190 per share to buy Red Hat and why now? The cloud revenues of IBM, often referred to as the Big Blue, showed signs of slow growth for the calendar year 2017. It reported $17 billion in annual cloud revenue compared to Microsoft’s $18.6 billion and Amazon Web Services’ $17.46 billion. Analysts said that one of IBM’s major strategies behind acquiring Red Hat is to scale past rivals such as AWS and Microsoft. “Since IBM’s business model has pivoted to helping enterprises in their digital transformation journey, building end-to-end cutting-edge capabilities from hardware to software to services is key for it to scale and grow,” Shah said. Red Hat’s subscription-based offerings complement that of IBM’s and fill a gap in the latter’s portfolio. Software subscription services account for almost $700 million or 90% of Red Hat’s revenue per quarter, said Counterpoint’s Shah. “It will be additive to IBM’s top and bottom line. Red Hat was growing at roughly 18% quarter-on-quarter,” he added. Santhosh Rao, senior director of research at Gartner, also said that there could be no doubt that the acquisition will help the Big Blue in the hybrid cloud space due to its use of open-source technologies. Shah also said that Red Hat will propel IBM into the edge computing and virtual environment space. “IBM has been collaborating with Red Hat to drive enterprise-grade Linux software integrations along with the hot trend of ‘containerization’ with Kubernetes to tap the significant growth in edge computing space by offering hybrid cloud solutions,” he said. Red Hat’s OpenShift (containers) and Ansible are the fastest growing technologies, which will add value to IBM. Analysts seem to differ on the cost of the deal. Some say that IBM paid a premium because Red Hat didn’t want to sell, while others believe that is the price a company with Red Hat’s brand would demand. “Red Hat has been growing on its own and would have continued given that the hybrid cloud environment is here to stay for some time. The price tag is probably a result of the company not being ready to sell at first,” Shah said. On the other hand, Gartner’s Rao said that as Red Hat is popular in the open-source world, the price tag may seem justified but whether it is the right price for IBM is something that time will tell. “Buying a company like Red Hat enables IBM engineers to get help from the open-source world when they can’t fix a problem or solve an issue,” Rao said. During a call with media and analysts, Paul Cormier, executive vice president of Red Hat, cited IBM’s chief executive Ginni Rometty as saying in an internal meeting that the $34-billion investment was not to buy technology but to invest in Red Hat’s employees. Both IBM and Red Hat have specifically said that the latter will remain an open-source entity and that its existing agreements with other public cloud companies such as AWS and Azure will not suffer due to the deal. “We have no intention of changing the open-source culture of Red Hat at all. In fact, IBM has been a strong proponent of open-source technologies and holds hunderds of patents,” Arvind Krishna, senior vice president of hybrid cloud, IBM, said during a media and analysts call. However, analysts have varying opinions as to whether IBM will remain true to open-source. Counterpoint’s Shah said that it remains to be seen that whether IBM will keep Red Hat’s products completely open-source or if it will tweak them to gain advantage over its cloud rivals. “IBM could co-develop new features or solutions that would give it a specific advantage over cloud players. This could happen when IBM is trailing and is desperate to gain an upper hand,” he explained. Rao, on the other hand, said that it might be more beneficial for IBM to allow Red Hat to function as usual because of the advantage it will get from the open-source ecosystem of engineers and developers. The deal will give IBM an edge in the long-term in emerging economies like India, where enterprises are taking to the hybrid cloud model, Shah said. “Hybridity in cloud is a new phenomenon. Nearly 80% of the market remains untapped and IBM wants to leverage the acquisition to gain an upper hand (in the space),” he added. According to him, IBM’s customers are large enterprises, unlike Azure and AWS which have a good mix of small and medium businesses and developers. The latter are also cheaper. However, he said that the acquisition will help IBM increase stickiness with its customers as it will be able to cross-sell end-to-end solutions, and at the same time, will reduce customer acquisition costs. Rao, on the other hand, said that the deal was a last-minute attempt by IBM to stop large customers from switching over to AWS or Azure, a trend that the analyst believes has already started. He was also skeptical about how the acquisition will play out for the company in the public cloud space and said that the world has to wait and watch.